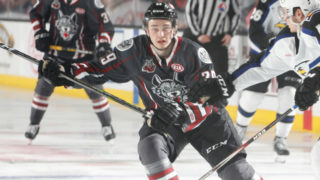 Former Blades skater Josh Paterson helped write the story of the night, scoring twice on the power play against his former team. 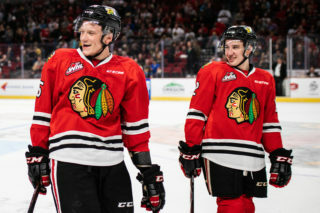 Offense was in full force as the Winterhawks beat the Blades 5-4 to finish the East Division road trip with five wins in six games. In the opening period, the Blades jumped out to a 1-0 lead thanks to Kyle Crnkovic rocketing a puck to the back bar. 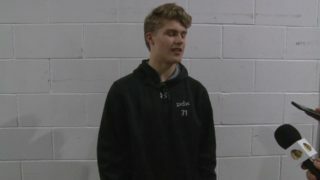 Nearing the end of the first period, the Blades’ leading goal scorer Max Gerlach intercepted a puck in neutral ice and walked through the offensive zone to score the team’s second goal of the night. Before the period ended, Seth Jarvis banged in a rebound to cut the lead in half. Both teams had prime scoring chances in the second period. Nolan Maier made a fantastic pad stop on a Winterhawks’ 2-on-1 shorthanded rush. On the counter attack, Blades’ leading point scorer Kirby Dach stuffed in a power play goal to make it a 3-1 game. With less than four minutes to play in the second period, Mason Mannek peppered in the go-ahead goal on a far-side wrist shot, only to have the game tied a few minutes later on Gerlach’s second goal of the night. In a tightly contested third period, each team exchanged chances, but the goaltenders were on their A-game. With 2:30 to play, Clay Hanus wrapped around the net and centered it to Mannek who tapped in the eventual game-winning goal. 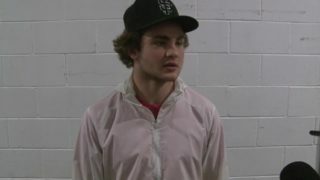 It was Mannek’s first career multi-goal game in the WHL and he scored arguably the two biggest goals of the night. 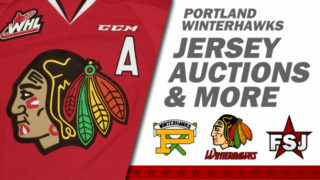 January 19th is the Winterhawks’ next home game when they take on Everett in the Sunset Game at the Veterans Memorial Coliseum. 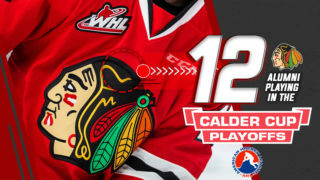 The puck is set to drop at 5:00 p.m. Be sure to visit winterhawks.com/tickets for full details on pricing and availability.